With the maintenance required for keeping landscape clean and maintained on your property, the last thing you probably want to discover is that you have a tick infestation in your yard. Not only are these tiny arachnids known to bite, but they can also carry diseases and cause allergic reactions that can be harmful to both animals and humans. In order to have effective tick control, following advice from the experts is invaluable. Until you’re certain that you’re in the clear, it is important to keep your pets and loved ones safe. For example, you may need to be wary about allowing children to play in tall grass where ticks thrive. It’s also important to monitor pets and keep them protected with specialized medications in the form of sprays, powders, dips and shampoos. Ticks thrive in overgrown and cluttered yards, so staying on top of your landscaping maintenance can prevent an infestation. Clear yard of excess debris such as old leaves, sticks and weeds, and avoid letting grass grow too long. 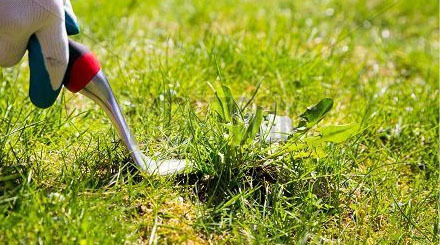 While the best option to get rid of the problem altogether would be to schedule an appointment with a professional, there are some quick fixes that may hold you over in the meantime in addition to regular lawn care. Lighting citronella candles around the area and generously sprinkling food-grade diatomaceous earth in the affected areas are some methods used by homeowners for tick control. With the help of an expert, you can properly evaluate the situation and get it under control. A tick problem often signals other issues such as infestations by other pests, that are common food sources for ticks, and poor maintenance. Your garden care professional can help you identify the source of the problem, offer you a variety of pesticides that can wipe out an existing population and help you establish an effective routine for tick control and other pest issues.